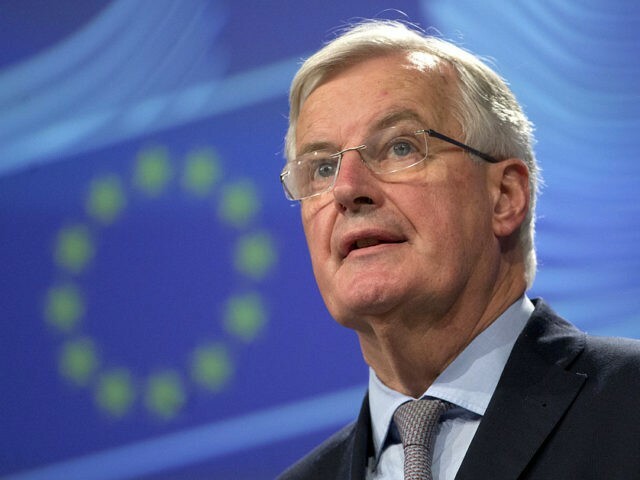 EU chief Brexit negotiator Michel Barnier has suggested Britain could be locked into the bloc as a non-voting member for a further two years from the originally proposed cut-off of December 2020, and apparently has support for the measure from Theresa May’s government. The veteran Eurocrat made his proposal at a meeting with ambassadors from the EU’s 27 remaining nations Sunday, raising the prospect that Britain could continue paying huge contributions into the union’s budget, abiding by its rules and keeping UK borders open to the bloc until December 2022. Despite anger amongst Brexit supporters in the Conservative party over the ‘transition’ period plans as they already exist, UK business secretary Greg Clark has backed the proposed extension, citing reducing the risk that Theresa May’s controversial ‘backstop’ would need to be triggered, and making things smoother for business. “Businesses, especially small businesses, have said very clearly that they would much prefer to have one change, rather than have to change things twice, to two different regimes,” he told BBC Radio 4’s Today programme Monday morning. Asked how keeping Britain inside the bloc in all but name for another two years might be viewed by some of his Eurosceptic Tory colleagues, he stressed that “it would be at our request, and that would be a maximum period. “But it would be for this purpose – if the negotiations are making good progress but haven’t quite been finalised, to have the option – and it would be an option for us, and there is value in having an option – in rather than going in for a temporary period into the backstop and having a second change, to have the option, if the UK wanted, to extend the transition period,” added Mr Clark. The Prime Minister also made reference to the extension during questions after her Confederation of British Industry speech Monday morning, refusing to rule out the transition being pushed into 2022, when Britain is due to face its next general election. Breitbart London reported in October Brexiteer concern that Theresa May wouldn’t even have taken the UK out of the EU by the time of the next election, a fear that may now be realised. Speaking to the Daily Telegraph, EU diplomats reiterated the point that Britain would be in charge of whether to extend the transition period, and for how long, asserting that “the UK could theoretically ask for an extension until 2099 but an 80-year extension might upset people a little bit”. “Mr Barnier did not say that December 2022 was the absolute limit, the length is up to the British,” one diplomat told the newspaper. “But another two years makes sense. It is a reasonable and decent length especially as the trade deal will have to be ratified by every national parliament and even some regional parliaments in the EU”. In October, Mrs May insisted that any extension sought by Britain so as to avoid a no-deal Brexit would last only “or “a matter of months”. The Prime Minister has come under increasing pressure from within the Conservative party as ministers and Brexiteers push her to fight for a withdrawal agreement that enables Britain to leave the customs union and be free to make trade deals with the rest of the world.